Having spent over eight years in Asia in high-profile roles at the likes of Coravin, Christian Pillsbury DipWSET decided to return to his California roots and take the reins of an historic estate. As the Proprietor of Eden Rift Vineyards, he shares how maintains his connection with industry peers in Asia and fellow WSET Alumni through his new wine ventures. As the former Head of Coravin in Asia Pacific, how did you see the wine culture change in the region during your time there? I arrived in Hong Kong in 2008, when the tax on imported wine had just declined to 0%. I really can’t overstate just how impactful this was to the overall wine life in such a F&B-crazed city. Wine was everywhere, the major auctions arrived, and the following eight years that I was there were a moment in time when the greatest wines in the world found a thirsty, curious, insatiable market. More than just wealthy, Hong Kong’s wine consumers are curious and generous. They weren’t the kind of collectors where the wines are hoarded, and only talked about. In Hong Kong, the corks are pulled! The learning experience I was able to have was truly a once in a lifetime opportunity. In 2012 you helped conceptualise and design a wine retail training programme across Asia, with colleagues including Sarah Heller MW, DipWSET, what were your main goals and how were they achieved? The challenge in Asia, both then and now, is that there is a severe knowledge gap between customers and staff in retail and restaurant settings. There are a young, ambitious group of sommeliers changing the face of dining, but there was a more difficult challenge of finding retail staff who were confident enough to help buyers find what they needed. Our goal when we created this program was to help a massive retailer deliver higher satisfaction (and the same store sales) through better basic staff knowledge and confidence on the selling floor. 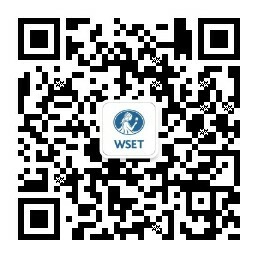 As a WSET Alumni, tell us about your experience with the WSET Diploma and how it has advanced your professional career. I undertook the WSET Diploma out of a love of wine and learning, rather than a need for a specific credential. That said, in my path as a wine entrepreneur, I have often found that having DipWSET on my CV very quickly addresses the question of whether or not I know what I’m doing! After so many years working in Asia, what was the impetus for you to move back to the West Coast, USA to start your own winery? As much as I love Hong Kong, and Asia in general, the next step of my path was to return to my California roots and take the reins of an historic estate. I have by no means abandoned Hong Kong and am there a number of times per year. It was Eden Rift Vineyards’ first export market, and I’m proud to see how well we have been adopted by wonderful old friends like The Upper House and Mandarin Grill. Since taking the helm at Eden Rift, what have been the most challenging aspects and rewarding milestones of running your own winery? The biggest challenges with an older estate (Eden Rift dates to 1849) are entropy and authenticity. Entropy because a vineyard is a wild thing that we steward to the best of our abilities, but never truly control. Weather, water, temperature and our local ecosystem are far more powerful than we are. All we can do is make decisions every day that hope to coax maximum quality and health from the vineyard, while truly controlling relatively little. Authenticity because we have a wonderful, long history to curate and tell. There is so much honest history here, that we have an obligation to tell a true story. It is a lot of work to dig up books and records from the last 170 years in a small agricultural town. The most rewarding milestones are the moments of change: first day of crush, first time you taste the new vintage from barrel, first time a customer pulls a cork, seeing the first bottling sell out. Amazingly, this happens every year… It’s like a dream. I have often found that having DipWSET on my CV very quickly addresses the question of whether or not I know what I’m doing! What advice would you give to those keen on opening and operating their own winery? Take your time finding the right opportunity. Don’t do it all at once. A winery is three businesses together; agriculture, manufacturing, and sales and marketing. You don’t have to do all of these at the same time, and in fact it’s quite risky. I would start with the piece you know best and grow laterally. I clearly don’t heed my own advice. Follow Christian on Instagram, LinkedIn and find out more about Eden Rift Vineyards on their Facebook or website.